Do I go to work today not feeling well or take the dreaded day off as a sick day? It started in my throat and now found my chest, building all week to the point I lost my voice this morning. Looking at my calendar I see a video call first thing with my counterpart in the London office. Yea, email and hand-signals will not get me through the day. I call in sick … actually email in sick with no voice and all. So here I sit working out what to do today. I decide that staying home can work to my advantage allowing time for me to complete research for a work project. Yea, not feeling full of energy, but my mind is active and I can pace myself through the day. Before I jump into my work, I decide to watch one of the many shows filling up my DVR. I forgot I recorded a recent documentary on the life of Joe Roth, a legendary figure from my Alma Mater, the University of California, Berkeley. Joe was an All-American Quarterback, the best in the Country in the mid 1970’s. He was a surefire top pick for the NFL who tragically died before graduating, yet another victim of cancer. The documentary details his life and courageous battle with cancer while playing football and continuing to turn in assignments to his professors knowing that he did not have long to live. Joe never quit and focused on making each day the best. 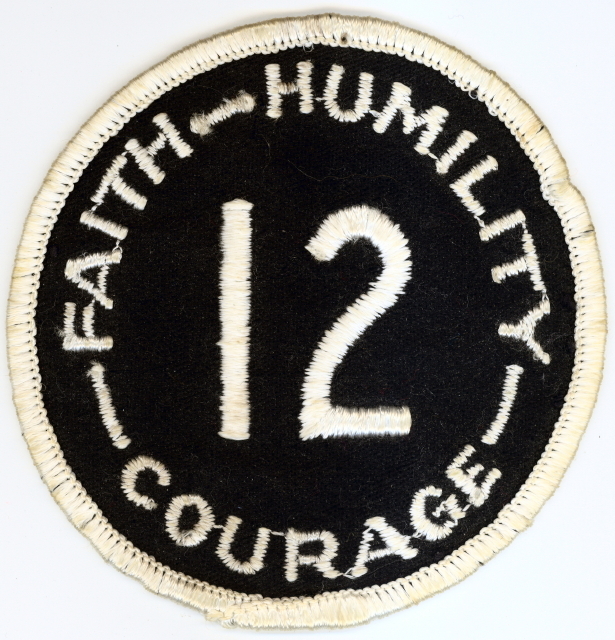 Patch worn by football team to celebrate the legacy of Joe Roth. I sit here stunned by what I watched. The documentary, “Don’t Quit: The Joe Roth Story” is terrific and I highly recommend it. Funny how life works. I firmly believe life lessons surround us every day. We need only pay attention and notice. Put aside the athletic ability and accomplishments on the field of play. Joe was an extraordinary leader who made deep and lasting impact on everyone he touched, now including me. The show is over and I think through the rest of my day and work research. My new company is revamping its management and leadership development program. With my experience in Training & Development, I was asked to put together my ideas for how best to create an effective program. Indeed I am collecting my thoughts and preparing a presentation on the key components and process for management and leadership development. Straight-forward enough, I know the “what” and the “how” of a solid management and leadership training program. Yet, I know there is more. I watched Joe’s story today and thought of his approach to life. Such a strong will and focus. He got the most out of each day and never gave up on himself and everyone around him. This is what I want out of a leader … give me your best everyday, don’t give up, and live to serve. I would love to tell the story of Joe Roth to a group of young managers. No, I can not teach them to be like Joe, but I can ask a question and leave it to each person to decide on how to move forward and grow as a leader. Everyday is a choice. Am I going to have a Joe Roth Day?